There’s something about autumn. It’s the announcement of the arrival of beautiful spring, of birds chirping and flowers blooming. 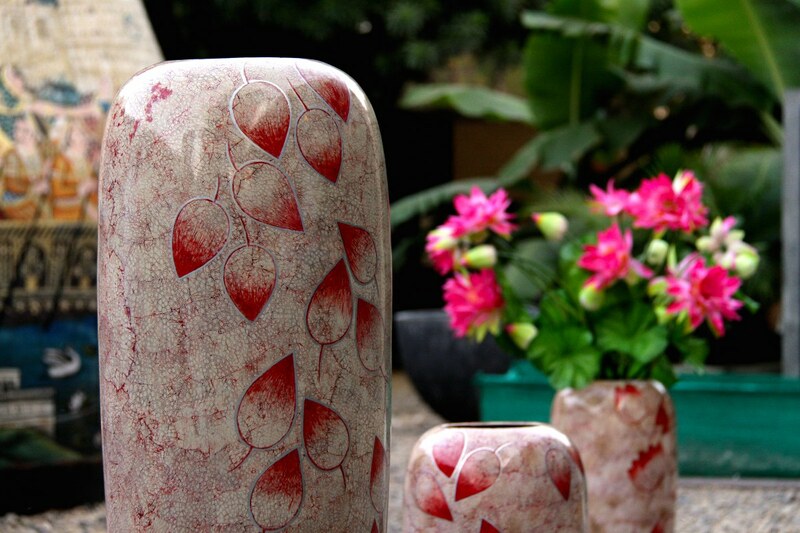 This ceramic vase, with leaves strewn all over is reminiscent of that mood. Add some gorgeous lilies to it and it will be the perfect fresh accessory for your house.